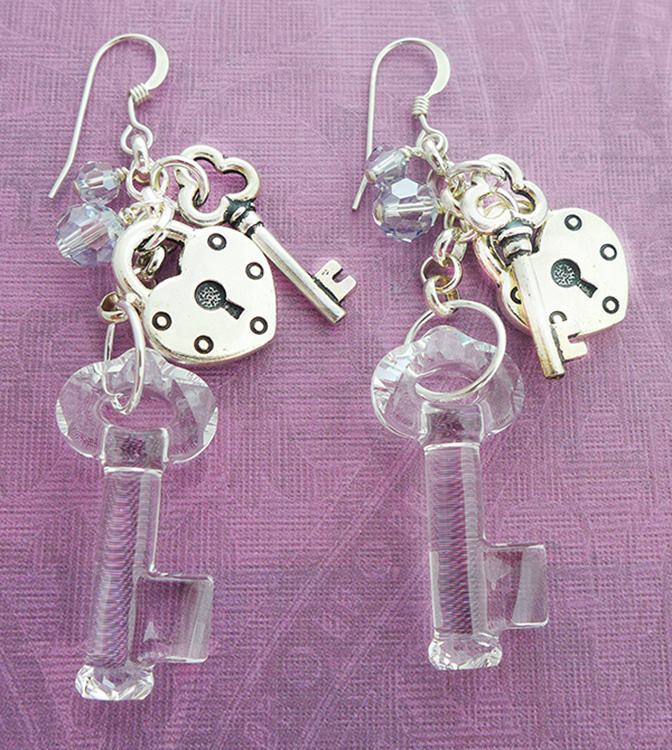 This Swarovski design features the large Crystal Swarovski Key along with Antiqued Fine Silver plated Pewter Heart Lock and Key and accented by small Swarovski Crystals. The earwire is Sterling Silver The overall length is 2 1/2 inches with Gold Fill ear wires. Enjoy these for their sparkle and swing.